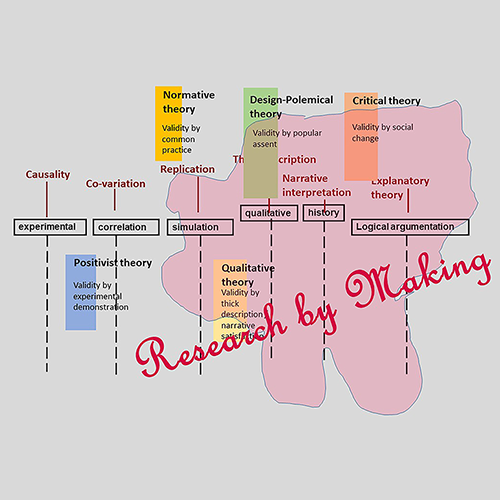 With the growth of “making” doctorates in design-related fields comes the need to define how dissertations in these fields achieve doctoral robustness. This paper first suggests that this new category of doctoral degree is justifiable from a historical point of view. A brief survey of how the PhD emerged in the European tradition, and its trajectory through the centuries, reveals there have been previous changes in the areas of study deemed worthy of doctoral distinction. On this view, we can justify awarding doctorates in the “making” fields, from art to architecture, on historical grounds. The aspect that has remained constant through the years, however, is that the doctoral degree signifies inclusion in a community of learners and, in turn, doctoral learning has positively impacted human community in general. Making doctorates should therefore not be so unique and exclusive that they separate themselves from the historic community-building role doctorates have played. The second part of this paper suggests a way towards this inclusivity. This paper proposes a “continuum of measures of research validity” to help researchers (and evaluators) in making doctorates anchor their research logic in measures that have roots in scientific method. The continuum is purposefully broad, beginning with standard measures of scientific research, but stretching those measures all the way to fictive constructions. Within this broad continuum, dissertations in the making fields can comfortably fall within the scope of doctoral research using expanded definitions for measures of validity. The paper concludes with four recommendations for candidates in the making fields, for the committees that guide them, and for the emerging community of making doctoral research as a whole.